Guest writer Stuart Meikle covers the evolution of Romania's agriculture, which has been in transition for years, just like other countries in the region, and the likelihood of Romania's success within the common agriculture policy implemented by the EU. As a young University of London academic I was witness to our team’s creation of agricultural policy units at the Ministries of Agriculture in Warsaw and Sofia. With the end of communism, 26 countries faced the transition from central planning to a free-market economy and they all had significant agricultural sectors that also had to make the transition. In a short space of time, a far too small group of agricultural-policy specialists were tasked to support the transition of rather too many eastern European and former Soviet Union countries. It was an immense task. With respect to Romania, just how successful has the transition been? A simple indicator of agricultural performance over the years is the wheat yields produced. The average yield during the years from 1986 to 1990 was just over 3,100 kg/ha (FAO, 2012). For the five years from 2006 t0 2010 it was just under 2,600 kg/ha. The fall has been one-sixth. In themselves, the figures are illustrative of the wider decline of Romanian agriculture. A look further shows a transition from organized to disorganized agriculture. From the early 1960s to 1990 there was a yield improvement of three percent per annum. Importantly the annual yield variance was between ±15 ppercent. 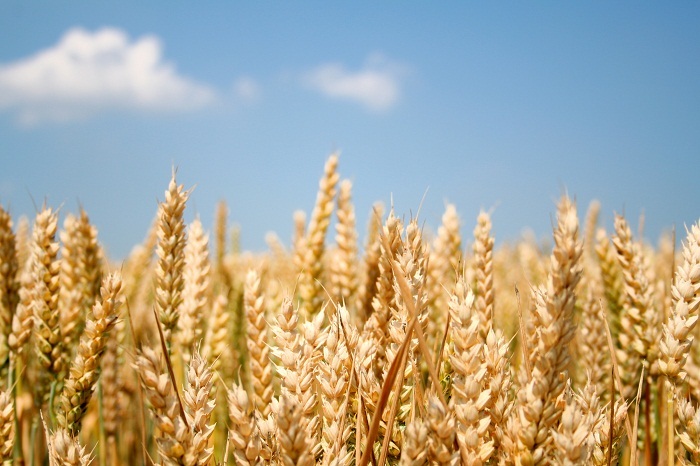 In other words, to a greater extent than at present, the resources were available to manage wheat production so as to avoid any annual yield disasters. Since 1990, yields have not only been falling by an average of 0.75 percent per annum, they have become far more volatile (±35 percent) and crop failure has become more frequent. It is this volatility in yields that now makes investment in Romanian agriculture look risky. What cannot be hidden is the slide in agriculture post 1990. The disastrous, but some say necessary, choices made over land privatisation are at the root of so much of the problem. Should we, however, just berate the governments of Romania and just lay the blame for the failures of the last two decades at the feet of the Romanian political class? Maybe we should be asking just where was the international community during all of this? As suggested at the beginning, the transition started off with the best intentions. A variety of transition-support projects were put in place. Success was variable. The depth of capable staff was an issue, not surprising given that 26 countries were making the transition. The haemorrhaging of newly trained local staff to the private sector was a problem but it was one that was exacerbated when political involvement manifested itself through constant changes within the civil service. Analysis would probably show that the ability to build a core competence within the local civil service was the final difference between each nation’s success or failure. Where failure occurred, was it identified and rectified or at least allowed for in future plans? Did the international actors fail to fully evaluate their own work? As now, it appears to be that too much was/is about spending and absorbing the funds and too little about delivering what was/is needed. A lack of critic concerning EU funding was evident from very early on. Correctly the transition process was about placing one brick upon another. The early transition projects should have laid the foundations for what was to come. In the pre-EU entry years there was the SAPARD grant programme to prepare farmers for the rigours that would follow EU entry. They were far from successful (unless one measures success just by the absorption of funds). Simply SAPARD failed to provide funds to its originally-intended recipients, the smaller-scale farmers? With SAPARD, did it fail because the Programme was mainly signed off against strategic planning documentation? Was it wrongly assumed that the competence to design and administer the grant program was already in place? Who was to blame? On balance, it was probably an external failure to recognise the problems and/or an inability to then rectify them. Far too much was assumed about what governance capability had been created. Maybe it was just ‘politically-incorrect’ to question the local competence? Was it an aversion to admitting to previous failings in support of the transition process? Surely by the time of EU entry alarms should have been sounding, that Romanian farmers were not ready and one reason was that the designated support programmes were not working as intended. Due to a lack of earlier critical analysis, the post-entry support programmes have also delivered little to the farming needy. Romanian agriculture has continued to decline whilst food imports to a country with abundant natural farming resources have risen sharply. It is not an EU food-trade conspiracy-theory, it is an on-going failure to evaluate the performance of local governance and the provided agricultural-sector, transition-support programmes. Will matters change any time soon? Probably not, because Romanian agriculture is now being more ‘fully-integrated’ into the Common Agriculture Policy. And the objective with the CAP is now about making it a more ‘common’ one-size-fits-all policy, to shoe-horn 27 rather differing countries into one bureaucratic system. If Romania’s agriculture had completed the transition from communism to the free-market it would now be capable of fitting in alongside its EU counterparts. It has not and it cannot, far from it. Romania is many years away from such. As a consequence it still needs agricultural policies designed for its specific needs. It looks unlikely that the post-2014 CAP will deliver them. As with the crisis in the broader economy and the awful measures being implemented to address it, one begins to wonder just how well the international community understands Romania. After two decades of ‘engagement’, how much has been learnt, how much achieved? In agriculture, every sign points to a continued and very long transition. And to be frank, a part of the reason for this long transition is because the relevant international players have not been as fully ‘engaged’ as they should have been. We have simply not been rigorous enough when evaluating either local competences or our own efforts. We have not fully appraised our own performances and then adapted and changed our strategies and polices to meet the conditions in Romania. We have been party to agriculture’s decline and this will continue until we ensure that we are fully briefed about Romanian specifics. We can only then properly engage in the development of policies and mechanisms to deal with Romanian reality, agriculturally or otherwise. Stuart Meikle is an agricultural management consultant. He was a University of London academic and is an economist, a writer and a farmer. He has been involved within Romanian agriculture as an adviser, as an executive manager and as an observer for 15 years. The views expressed are his own and do not necessarily reflect those of Romania -Insider.com.